Dental emergencies can strike when you least expect them but care is always close at hand when you turn to South Bay Center for Aesthetic Dentistry for your emergency dental care. Because we never overbook our office, it’s easy for us to fit in emergency patients whenever unexpected problems crop up. You don’t have to be a current patient in order to consider us your emergency dentist in Rancho Palos Verdes. We’re happy to help anyone who may be experiencing pain due to broken crowns, chipped teeth, gum disease, severe tooth decay or some other problem. Dr Mileham will work quickly to diagnose your problem and correct it using the latest tools and technologies in our clean and up to date office. When you have a dental emergency, the last thing you want is to step into a hectic dental office or be greeted with a “hurry up and wait” attitude. At South Bay Center for Aesthetic Dentistry, we understand the needs of emergency patients. Our office is always calm and serene and never crowded. If we give you an appointment, you can rest assured that the emergency dentist in Rancho Palos Verdes won’t keep you waiting. 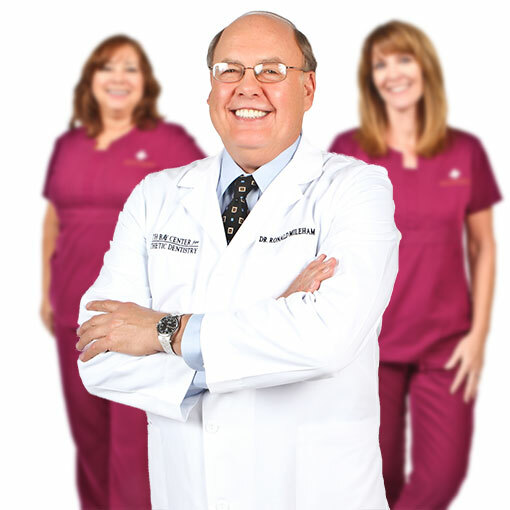 You’ll be ushered into a clean exam room almost as soon as you arrive and Dr. Mileham will do everything he can to relieve your pain and treat your dental problem. If you have a dental emergency, contact us. If you suddenly start experiencing pain in your mouth, don’t ignore it. Tooth and gum pain is often a symptom of very serious gum disease, tooth decay or infections. If left unaddressed, these conditions may worsen until you end up needing your tooth extracted. As an emergency dentist in Rancho Palos Verdes, we can handle emergency tooth extractions with ease. After carefully considering of whether or not the tooth could be saved, Dr. Mileham may recommend extraction to relieve your pain and also remove the root cause of that pain. At a follow up visit, we can discuss all your options for replacing the missing tooth, such as a bridge or a dental implant. Chipping or breaking a tooth is often quite painful, especially if the nerve is exposed. As an emergency dentist in Rancho Palos Verdes who is also skilled in cosmetic dentistry, Dr. Mileham can help you find relief from pain and sensitivity caused by the exposed nerve, as well as restore the natural shape and profile of your tooth. During your emergency appointment, Dr Mileham will begin the process by using composite material to seal off the nerve and protect it. Then he will layer on more material in order to replace the broken portion of the tooth, shaping and sanding it to mimic the appearance of your natural tooth. Root canals have gotten a bad reputation over the years but the truth is an emergency root canal is often your best chance of saving a damaged or infected tooth. Using the latest tools and technology, Dr. Mileham and his staff can remove infected tissue, nerves and pulp from inside your tooth, thoroughly clean the resulting cavity and then seal the empty pulp chamber to prevent reinfection. Thanks to our quality sedation methods, you won’t feel a thing during the procedure. But afterwards you will definitely feel a difference—the intense pain caused by your infected tooth will be gone!